Call 203-992-2000 : Ice Cream Truck Rentals - South Florida Ice Cream Trucks will come cater all your ice cream needs at your next special event with a clean, professional, classic ice cream truck. 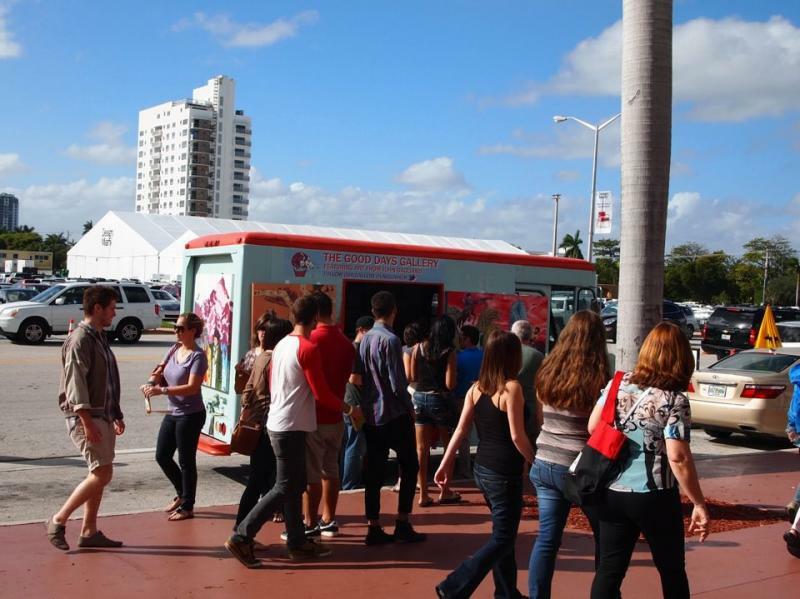 Our Ice Cream Trucks are for rent in Miami ,Fort Lauderdale, and the West Palm Beach areas. South Florida Ice Cream Trucks specializes in Marketing Promotions, Photo Shoots, TV Commercials, Corporate Ice Cream Catering, Birthday Parties, Fund Raising for Charities, Weddings, and more. -We'll come to your party with a fully stocked ice cream truck to professionally cater your preference of any ice cream selection ranging anywhere from Rich's, Good Humor, Ben and Jerry's, Popsicle, Klondike, to scooped ice cream or can even subcontract a softserve truck at your next venue. -Prices for our ice cream truck are based on traveling time, stand by time, duration of the party, and esimated number of servings. -In some requests we will not cater ice cream and just act as a prop for your movie shoot, or instead of passing out ice cream pass out cd's or fliers for your marketing promotion. -Once you book our truck it is basically yours for the duration of your event. Feel free to hop on the truck and ring the bells, take pictures, pick and choose your own ice cream or have the company boss or our company driver pass out the ice cream for you. -Our driver will be equipped with a camera to capture your special event memories and forward them to your email address a week after the party, FREE of charge upon request. Call today to get a quote or proposal to have the ice cream truck cater your next event. Copyright 2012 South Florida Ice Cream Trucks. All rights reserved.